audiology, speech and language pathology, and genetics to collectively review each patient’s case and determine a course of action. Donations will help to aid continuing research of causes and treatments for children with hearing loss. 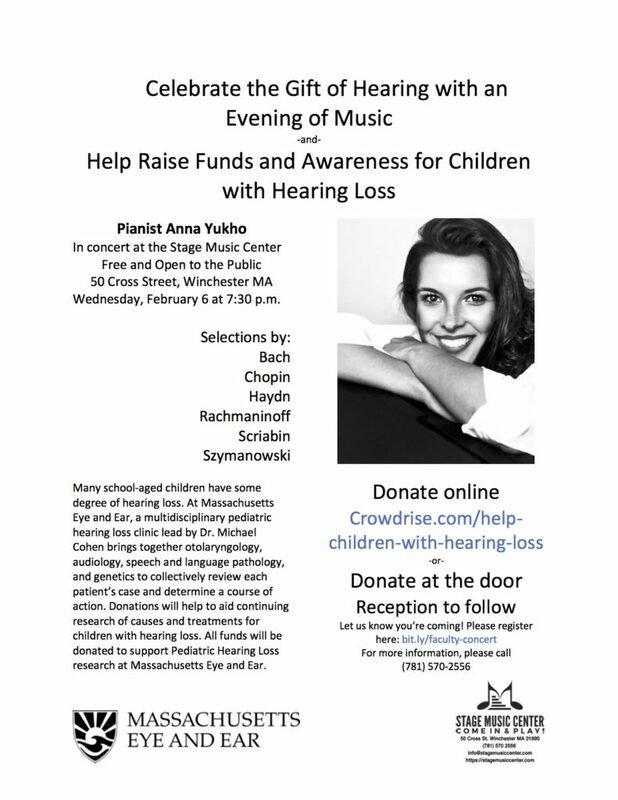 All proceeds will be donated to the Pediatric Hearing Loss Clinic at Massachusetts Eye and Ear.